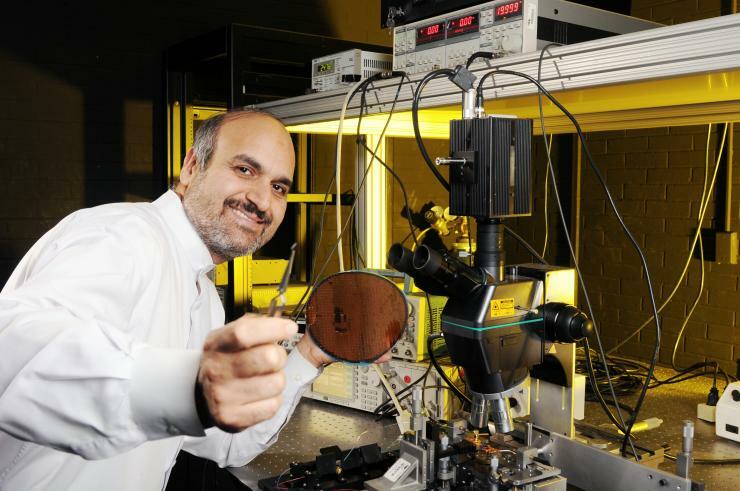 Ali Adibi has been named editor-in-chief of the Journal of Nanophotonics for a three-year term. A publication of SPIE, the Journal of Nanophotonics is an electronic journal that focuses on the fabrication and application of nano structures that facilitate the generation, propagation, manipulation, and detection of light from the infrared to the ultraviolet regimes. The scope of material that appears in the journal extends to theory, modeling and simulation, experimentation, instrumentation, and application. Adibi holds the Joseph M. Pettit Professorship in Electronics and has been a member of the Georgia Tech School of Electrical and Computer Engineering faculty since 2000. He leads the Photonics Research Group, where he and his team conduct research in the design, optimization, simulation, and fabrication of integrated photonic structures for optical sensing, optical communications, and optical signal processing. He has published more than 120 journal papers and more than 350 conference papers. Adibi is a Fellow of SPIE, OSA, and the American Association for the Advancement of Science. He has also received several of the nation’s most prestigious accolades, including the SPIE Technology Achievement Award, the Packard Fellowship, the PECASE Award, and an NSF CAREER Award.